We are a preeminent organization that is engaged in manufacturing, supplying and exporting Package Type Oil Fired Boiler. 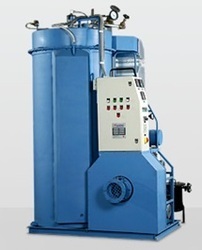 Our offered boilers are widely demanded by engineering, textile, chemical, petrochemical and pharmaceutical industries. Apart from this, we check all our boilers on certain well-defined parameters to remove defects, if any. 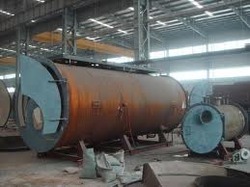 With the help of our experienced engineers, we are able to manufacture, supply and export Coil Type Oil Fired Boiler. Designed to perfection, these boilers are widely used in various industries like chemical, petrochemical, pharmaceutical, food & beverage and rubber. 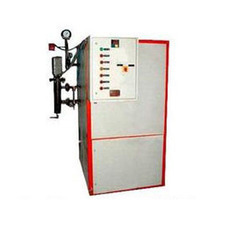 Also, our boilers can be customized as per the demands and needs of clients. Burners - Nu-way, Saacke, Ecoflame, Combustion concept, Riello,hamworthy. We hold expertise in manufacturing, supplying and exporting a superior quality Shell Type Oil Fired Boiler. All the boilers are manufactured sing quality components and raw material to ensure that final output meets with international quality standards and norms. 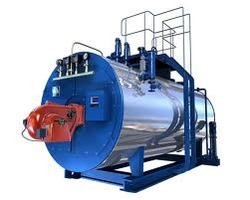 Furthermore, our professionals help us in customizing these boilers as per clients’ requirements and demands. We are a reputed organization that is engaged in manufacturing, supplying and exporting Oil Fired Boiler. All our boilers are widely used in various industries like engineering, chemical, pharmaceutical, petrochemical and food & beverage. These products can also be customized as per the specifications laid down by the customers. Looking for Oil Fired Boiler ?